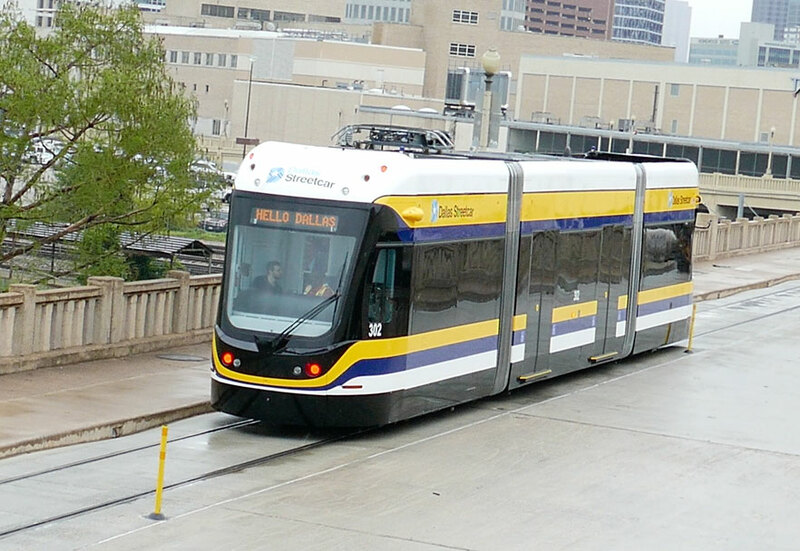 The Dallas Streetcar was the recepient of two awards this week at the Light Rail Awards ceremony held in London. Brookville Equipment Corporation won the Technical Innovation award for the design and build of the Liberty Modern Streetcar, which is the Dallas Streetcar vehicle. It is a one-of-a-kind vehicle that is capable of going “off-wire” over the Houston Street Viaduct. The first Liberty Modern Streetcar was delivered to Dallas for the Dallas Streetcar project. The Dallas Streetcar also took home a “Highly Commended” award in the Project of the Year (over 50m euros) category. Dallas has always been in the vanguard of North American light rail development and crossing the wide Trinity River to create a link to the Oak Cliff district required a new approach as there was no way that the landmark Houston Street Viaduct could be spoiled by overhead lines. This forward-thinking agency has found the solution, however, through a close partnership with a domestic manufacturer to deliver the country’s first modern low-floor system that operates on battery power. Congratulations to Brookville, The City of Dallas, FTA and everyone else involved in the Dallas Streetcar! The Light Rail Awards is in its ninth year and is organized by Mainspring on behalf of LRTA. DART has previously been recognized for the opening of the Orange Line to DFW Airport.